A true story of adoption through providence, passion and perseverance. Told from the firsthand experience of the author, the 5-year process of blending a cross-cultural family through the ups and downs of life and through the complexities of international adoption unfolds in waves of joys, twists, trials and sacrifice. 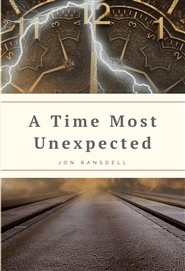 “My experiences unfolded before me as life always does in its linear progression masking the change that would occur at a time most unexpected.” - J.R.